Ultra-light ladies shoe with Gore-Tex. 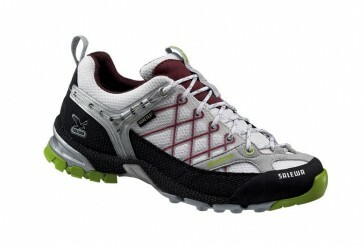 Vibram outsole with tech approach, breathable, waterproof, nierdiger shank, good cushioning, good lateral support. Revolutional a generation of hiking boots! The first connection of comfort and ease of touring boots with the technical features of alpine mountaineering boots. The extended lacing and multi-fit footbed allow a custom fit. Aramid on the midsole makes the shoe "State of the Art".